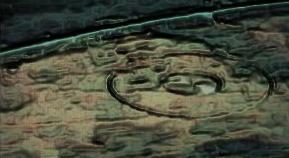 This is a little known cropcircle that appeared close to the west approach of the Cache - County Airport. Hence its name, It became public in 2001 after Ryan Layton joined up with UUFOH. It was never investigated due to lack of knowledge of the Formation itself, the formations location, and because of its proximity to the airport. The Satelite design has a 3 foot ring around a 20-25 foot center circle. No samples were taken from this circle. 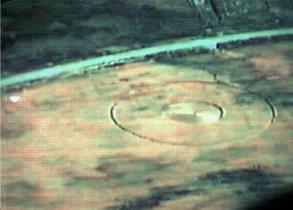 Ryan Layton video taped the circle from a small aircraft, and was the first to record it and document its existance. 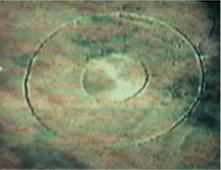 UUFOH was the first to make this cropcircle public in 2001 via this website. and aptly named the unknown circle.